Enjoy 4-star peace and quiet at Novotel Cairo 6th of October hotel, around 30 minutes' drive from the centre of Cairo and 20 minutes from the Great Pyramid at Giza. 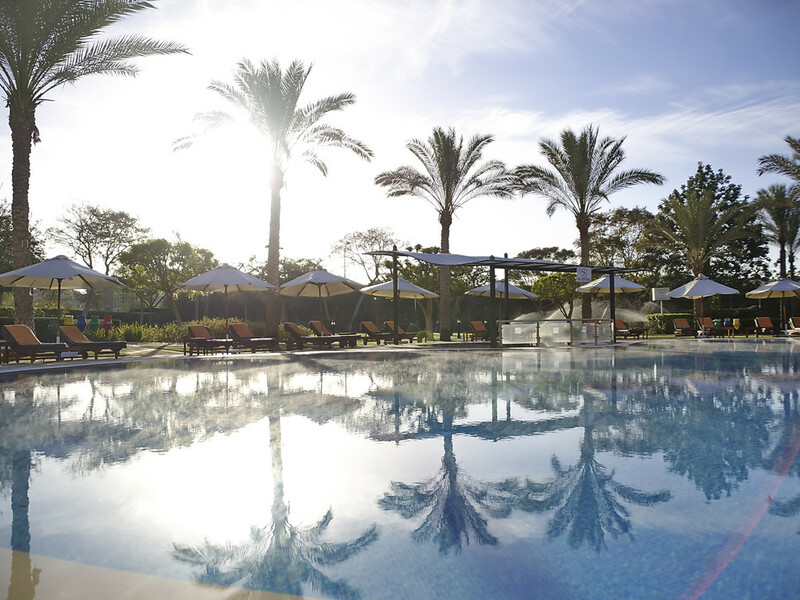 Pull up a deck chair and unwind under the palm trees or take a dip in the heated pool. Your cool, airy room gives you all the space you need to work or relax at Novotel. Spacious, contemporary in design, and adaptable, the Novotel room is truly a place for living, perfect for all your needs. Enjoy work & comfort. Our Superior Rooms offer A/C, LCD TV, rain shower, WIFI, minibar, coffee/tea & access to fitness center. The Executive Room treats you like a VIP offering espresso machine, scale, free minibar. Up to 2 adults/2 children.